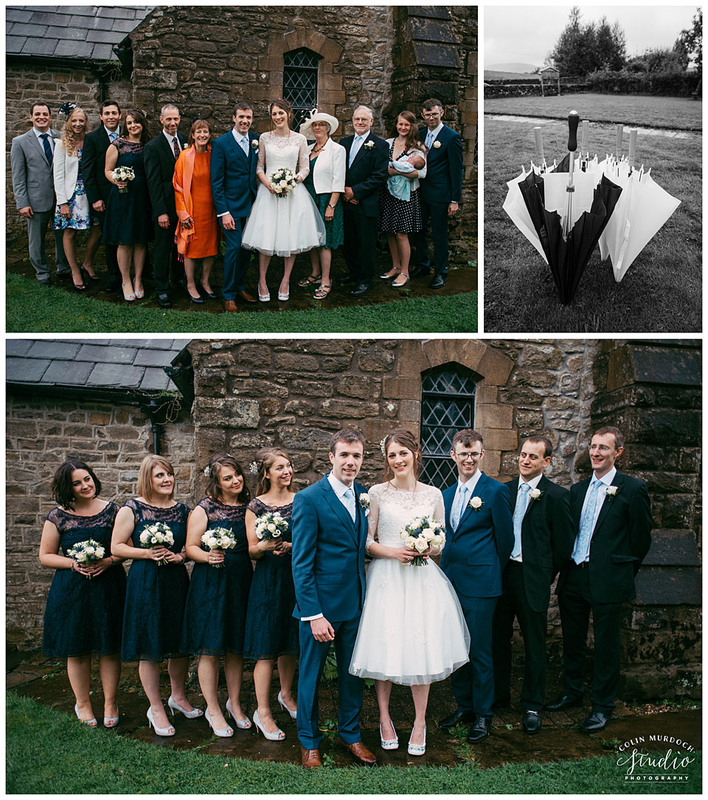 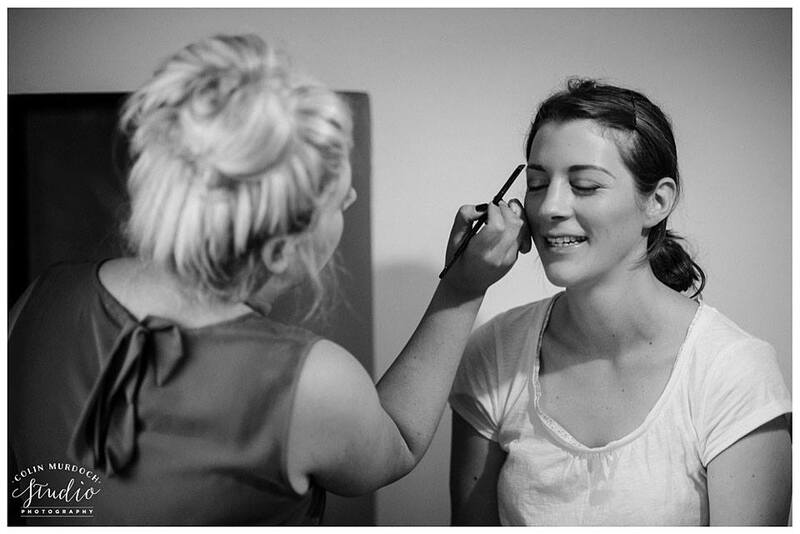 The heavens opened on Hannah’s Wedding morning but that didn’t stop the excitement from everyone involved, it was a family occasion on the morning with all her bridal party and family there. 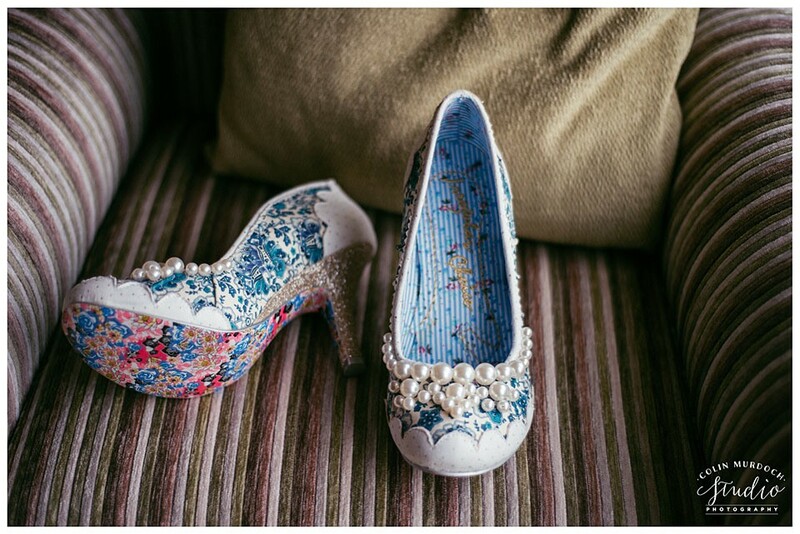 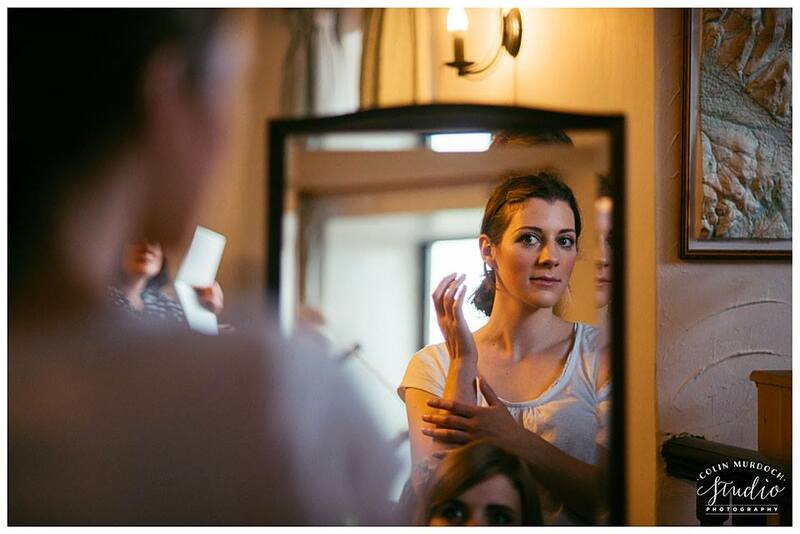 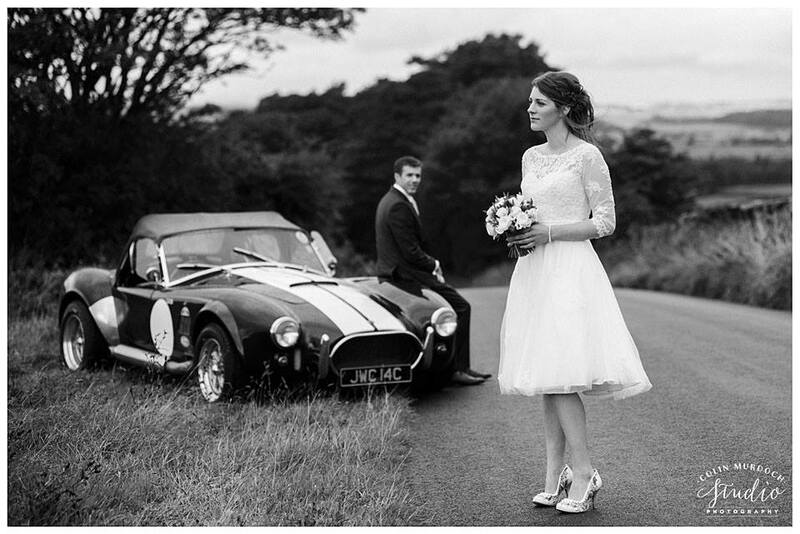 Hannah had a shorter Wedding dress which suited her style perfectly, finishing the look with my all time favourite bridal Irregular Choice shoes. 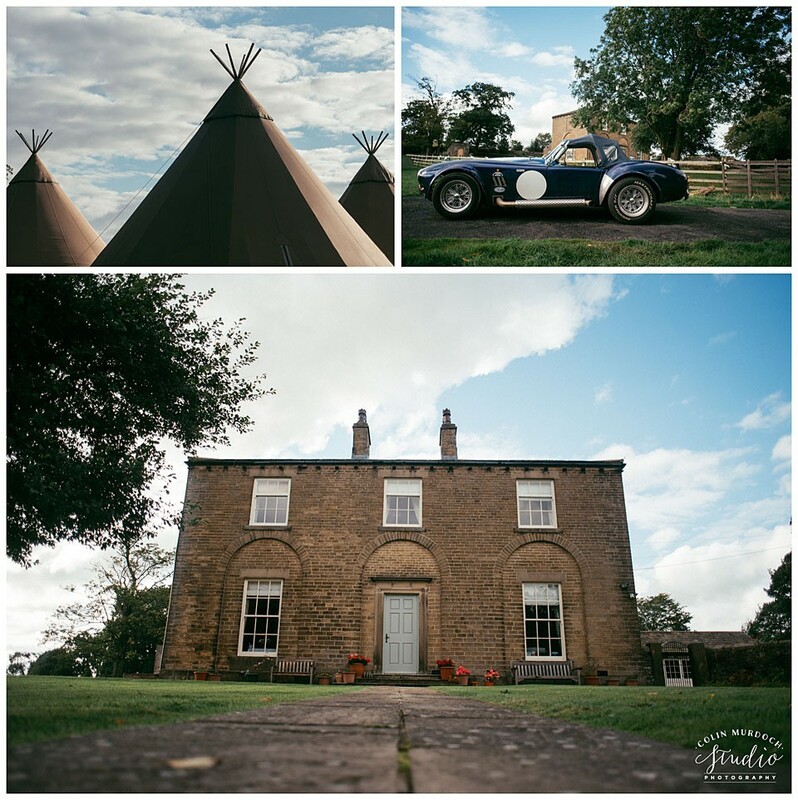 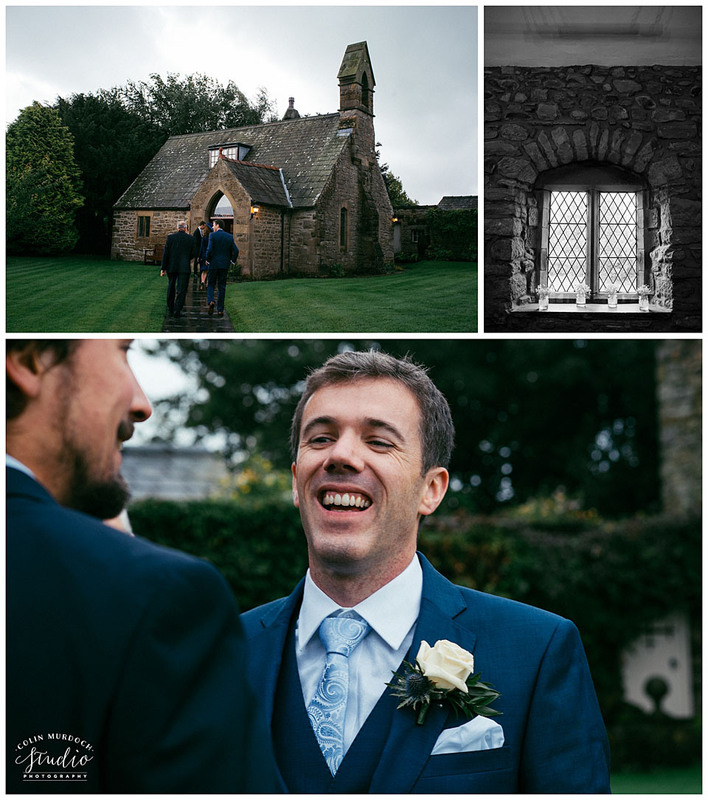 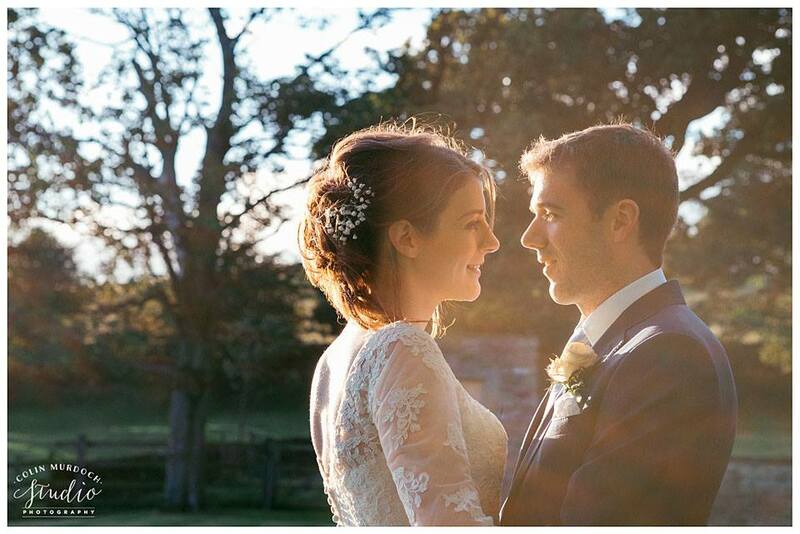 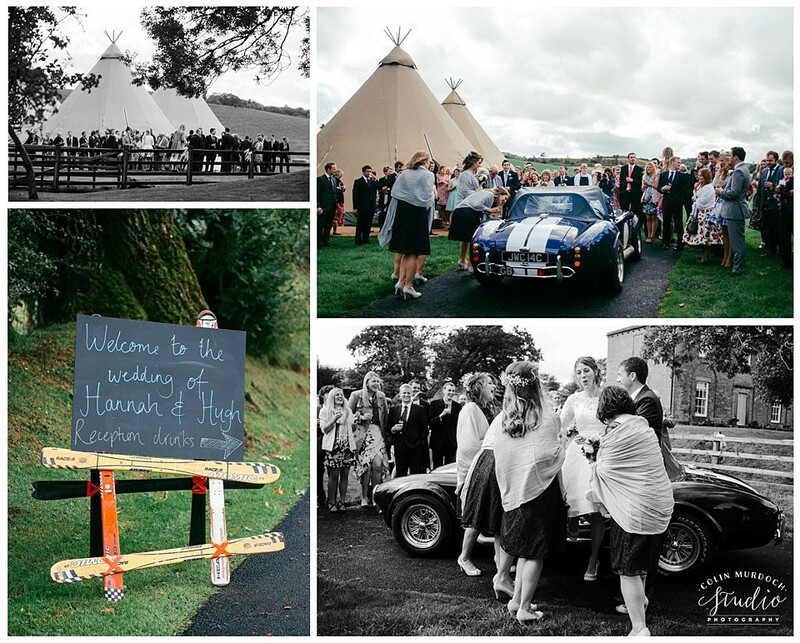 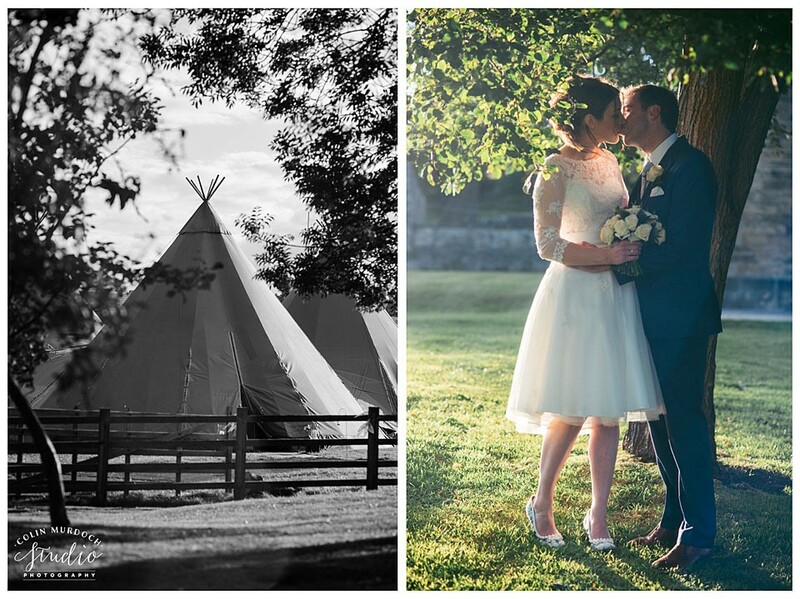 Hannah and Hugh were married at a lovely village church where her parents lived and went on for a Tipi reception at Newton Grange. 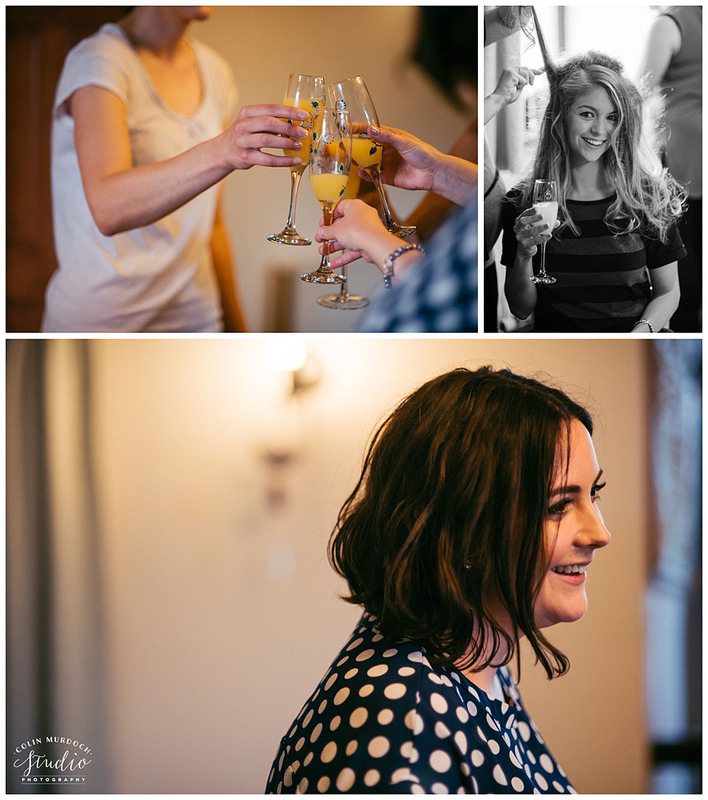 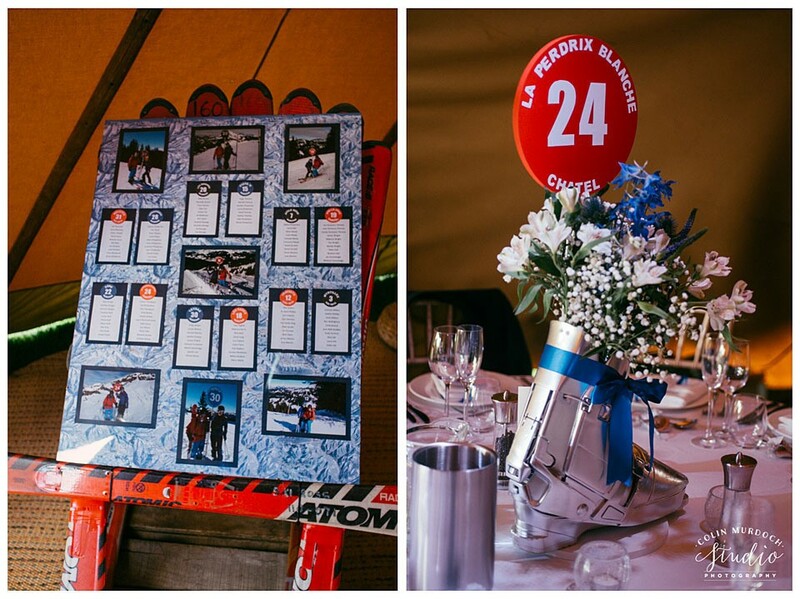 Photography was all thanks to Colin Murdoch, a Ski themed reception captured brilliantly once Mr rain held off for some fun and games in the evening. 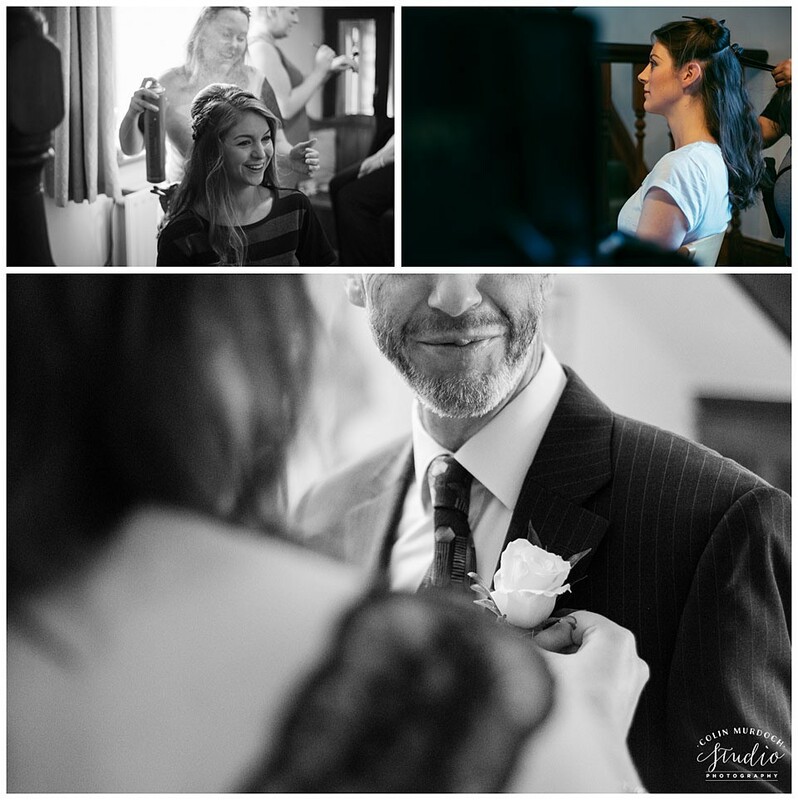 The Dollz had the pleasure of the Bride and bridal party for Makeup by myself and Sam for the hair, finished off with pieces of Gypsophila placed in their curls.